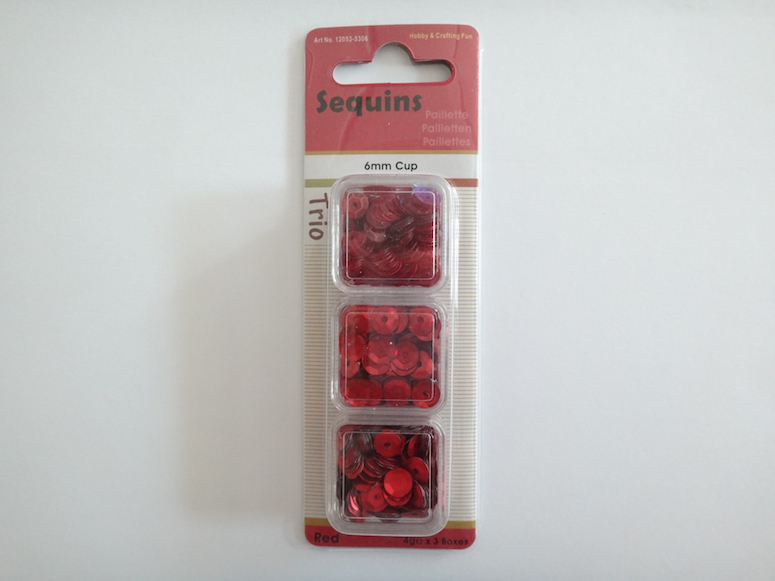 The Sequin Trio pack contains three 4g boxes of sequins. 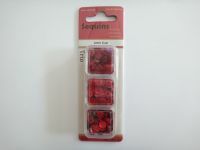 One box of satin red, one of shiny red and one of iridescent red which when they catch the light have a greenish look which would be perfect for Christmas crafts. The sequins can be stitched onto fabric or glued onto card, paper, acetate etc. They are also perfect for using in shaker cards producing a lovely sparkly, effect. Use them separately or try mixing all three types together for something more unusual. Size 6mm diameter.